Find the best loose diamonds for sale in South Africa from Diamonds 27, GIA Graded Diamond Specialists. Discover the best selection of GIA graded diamonds online at Diamonds 27 with free shipping in South Africa and convenient shipping worldwide. 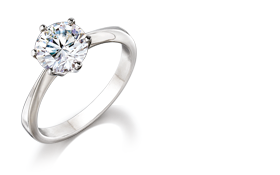 Diamonds 27 is committed to sourcing conflict free diamonds. 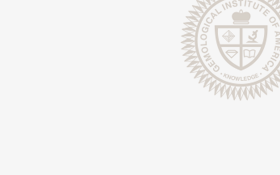 The diamonds for sale are each hand-selected by our expert team and graded for their cut, colour, clarity and carat weight by the GIA, Gemological institute of America. Browse our diamonds for sale here. Diamonds 27 is the only company in the world that offers a Buy Back Guarantee on loose diamonds purchased, eliminating the risk of buying loose diamonds for sale at an unfair price. Our diamonds are available in many shapes and sizes from the most popular Round Brilliant Cut Diamond to the Cushion Cut Diamond and Emerald Cut Diamond to name a few. Every diamond must be treated as an individual as its own combination (4 C’s) are unique to the diamond itself. Diamonds 27 can offer you a special service of supplying the diamond you desire direct from the South African diamond mines and international sources all ethically mined and polished. Should we not have the diamonds for sale that you are looking for, we will buy the rough diamond and polish it especially for you with the assurance of colour and clarity of your choice and the diamond size no less than what you have requested. All our loose diamonds for sale are graded by the GIA Diamond Laboratory and can be shipped to most countries in the world. Special delivery can be arranged to accommodate our customers from around the world. With many satisfied customers to date, your loose diamond is guaranteed to match the exact detail and specification as in the GIA Report with the diamond's unique ID Number laser engraved on the diamond girdle for an extra security and your own record keeping forever. One of the most frequently asked questions when buying a loose diamond is: Is it a good time to buy loose diamonds? Our answer is a strong YES. Consider the following facts, diamonds are rare and with the strong demand coming out of China and India topping the current demand in the USA and other parts of the world, the demand for diamonds in the next 3-5 years will outstip supply. With little to no new major diamond discovery, the shortage in the wholesale market will be around US $3 Billion. 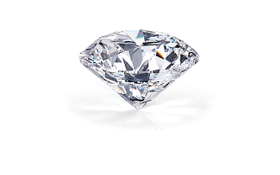 We are so confident in the loose diamond market that we purchase back every loose diamond with our Diamond Buy Back Guarantee unique to Diamonds 27. There is no better time to buy a loose diamond than now. The value of diamonds and diamond prices are increasing daily. If you are looking for the top quality loose diamonds in South Africa make sure to visit our store. Just to share a little secret with you, we reinvest our own capital and trading revenue back in buying loose and rough diamonds for polishing. We hope to have you as our satisfied customer soon. Please feel free to contact us with any questions or special requests you may have.